Ribbond's success has led to the introductions of other fiber reinforcements. Although many manufacturers have tried to imitate Ribbond, none of them has proven themselves equal to Ribbond. Published independent evaluations* and respected educators indicate a preference for Ribbond over the other fiber reinforcements. The most significant reason for their preference is Ribbond's unsurpassed manageability. Call us for a manageability sample to see Ribbond's unique manageability for yourself. Ribbond's patented cross-link lock stitch leno weave provides unsurpassed manageability without compromising its multi-directional integrity and its ability to reinforce the composite. This patented weave's lock stitch feature prevents slippage of the fibers within the resin. 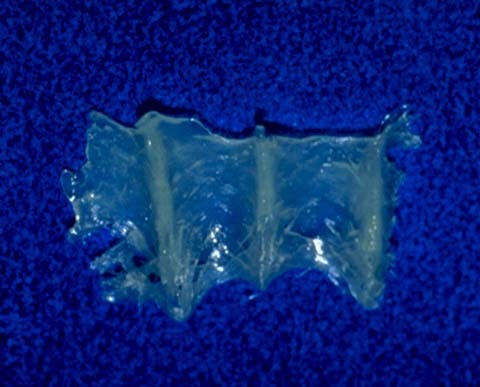 Unidirectional fibers or woven reinforcements that spread apart when adapted will be more susceptible to slippage and crack propagation throughout the resin matrix when the prosthesis is stressed in use. Perhaps as important as weave stability is a fiber reinforcement's lack of memory. Materials that rebound will not only result in excessive bulkiness, but will also compromise its laminated effect. Ribbond is virtually memory-free which insures close and accurate adaptation. 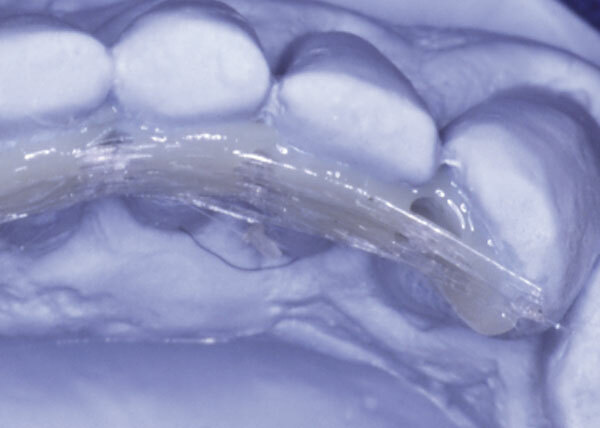 In the case of a periodontal splint, placing the fibers closely against the tooth surface makes a laminate structure. 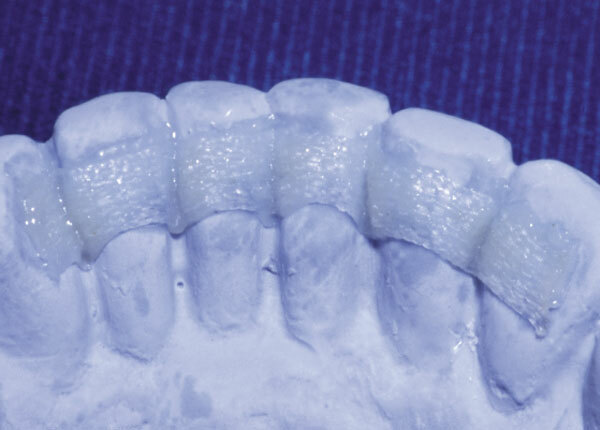 A fiber-reinforced composite is strong when the fiber is laminated closely to the teeth but prone to cohesive failure of the resin when the fiber is not closely adapted to the teeth. 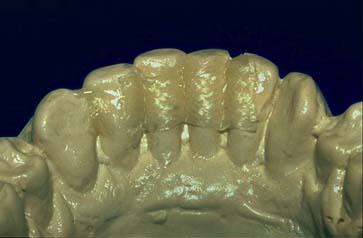 An example of this laminate phenomenon is the strength of a porcelain veneer when laminated closely to a tooth. 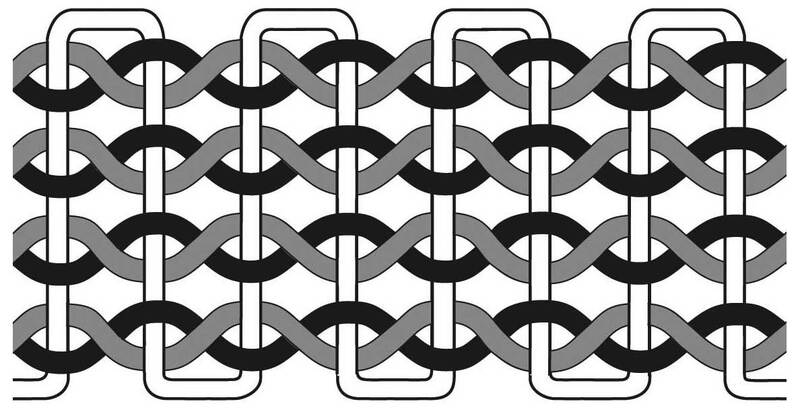 In the case of a bridges or other stress-bearing freestanding structures, fibers can be made into a laminate by placing them in multiple layers. Ribbond leads the field in published articles and studies. Ribbond has a proven record of success dating back to 1992. For the most up-to-date bibliography of articles and studies featuring Ribbond, please contact us. Many of these articles are also available upon request. 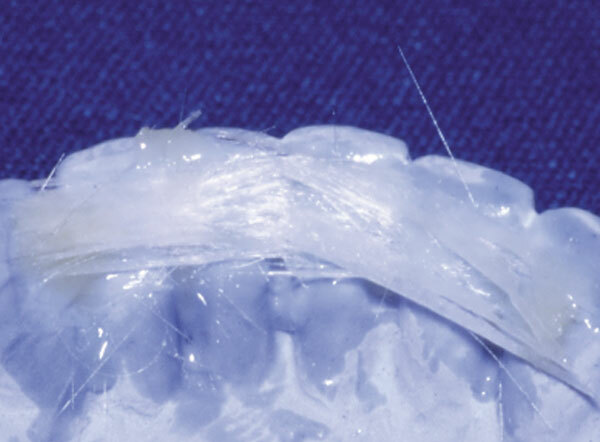 Unlike fiberglass, if at anytime the Ribbond is cut into with a rotary instrument, the resultant particles and exposed fibers will not be a biocompatibility risk to the patient. Ribbond has an indefinite shelf life and does not require refrigeration, maximizing cost effectiveness. Ribbond fibers vs. glass fibers. Some manufacturers offer glass fiber reinforcements. The same fibers used to make Ribbond are used to make bullet proof vests and protective armor for military aircraft. Glass fibers are not used for similar industrial applications for obvious reasons; glass fibers are brittle and are not fracture tough. Any first year student in structural engineering will tell you that it is easier to design a structure for stiffness using non-stiff materials than it is to design a structure for fracture toughness using non-fracture tough materials. Stiffness is achieved via design by the fibers being placed to make a laminate structure. Ribbond’s superior manageability allows for the most accurate placement of any fiber reinforcement. 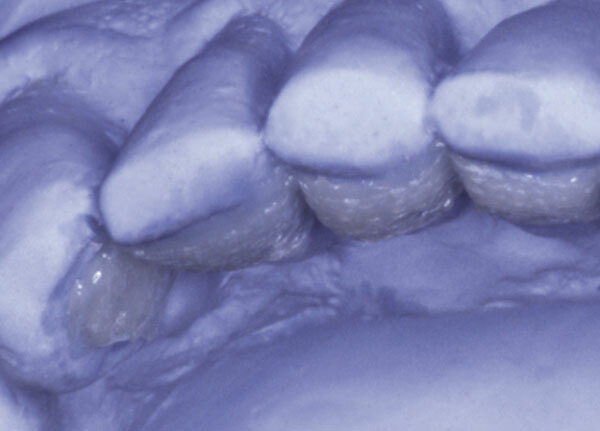 Accurate and close placement against the surfaces of the teeth minimizes the bond line and maximizes the laminate effect. The patented Ribbond leno weave. Does not unravel when cut or spread out when adapted. 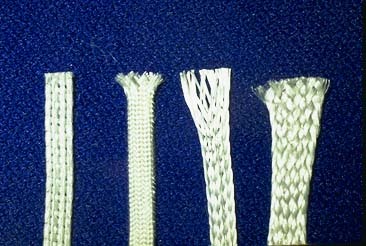 The following photographs demonstrate how, unlike loosely woven braided materials, Ribbond maintains its dimensional stability.